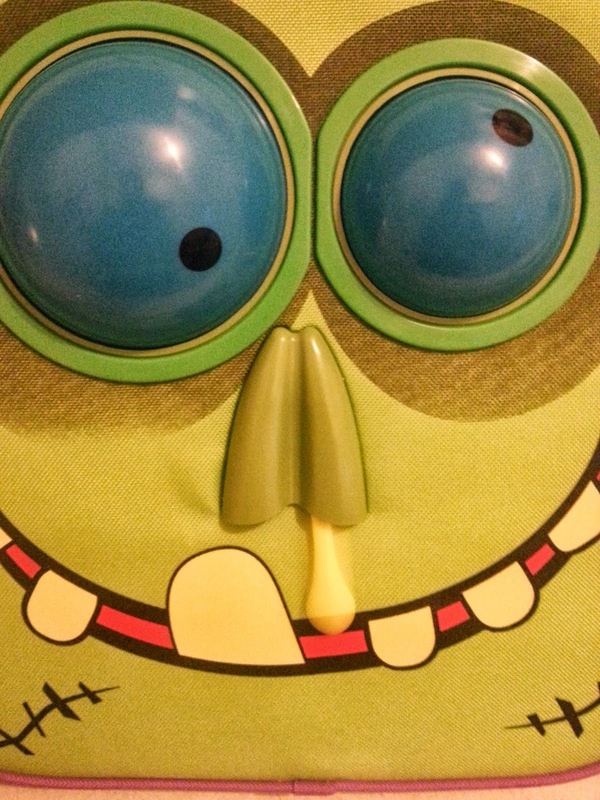 Snot the Zombie - Wow Packs! 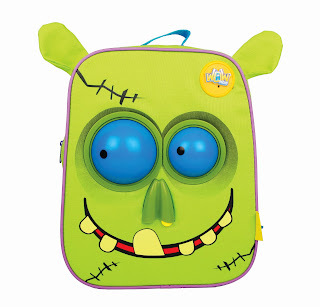 Wow Packs, The worlds first animated backpacks. 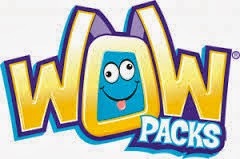 Wow Packs are the perfect way to have fun in the car, at school, on a playdate with friends or even on your first sleepover. These remote controlled backpacks are animated – so they magically come to life in front of friends and family. The fun characters are full of personality. You simply use the special button controls to wake up your Wow Pack. It's so easy to use and will make travelling or playing with friends even more fun! 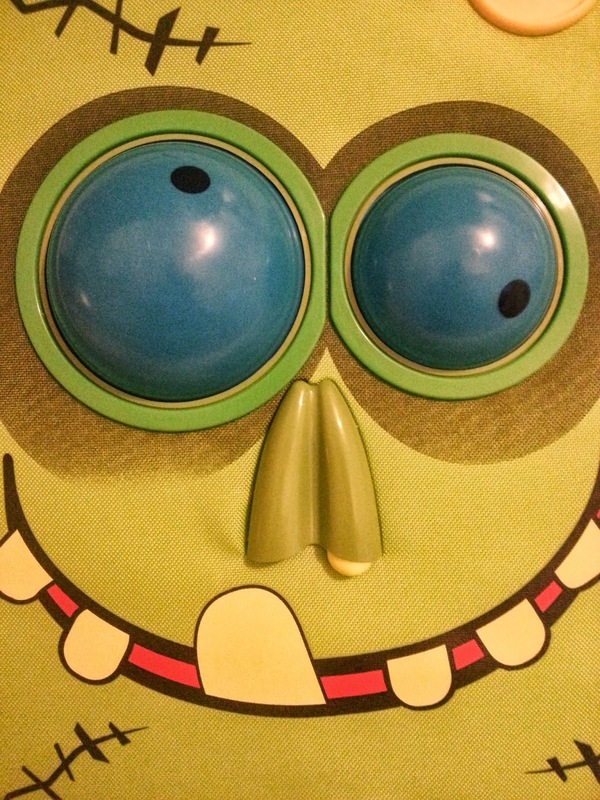 Different buttons control their eyes, nose and even eyelashes. 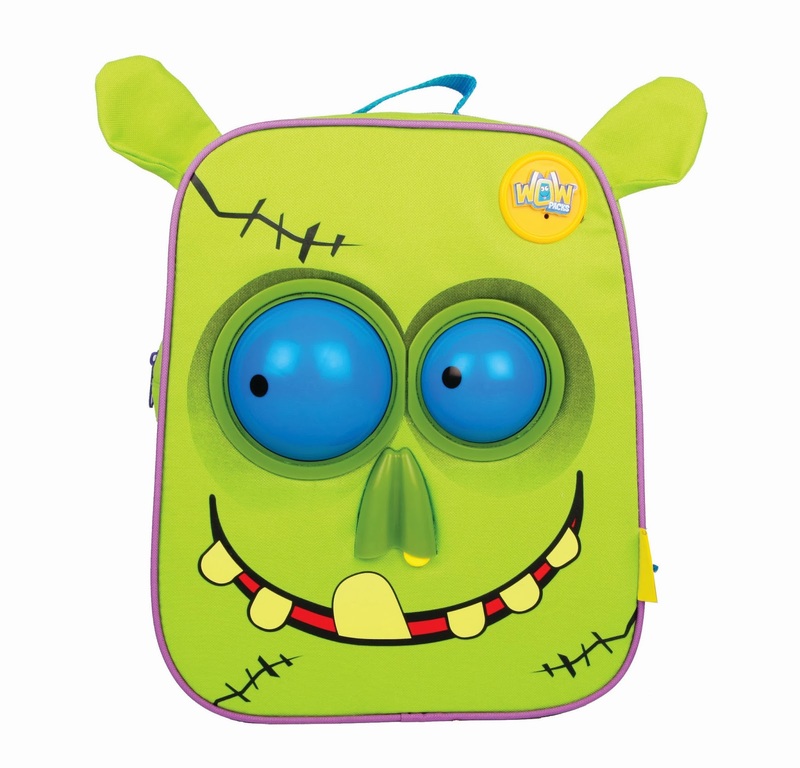 Sit back and laugh out loud as these cute animated backpacks make funny faces and sound effects that will surprise friends and family. Wow Packs are available in two characters, Cutezee the Kitty and Snot the Zombie. 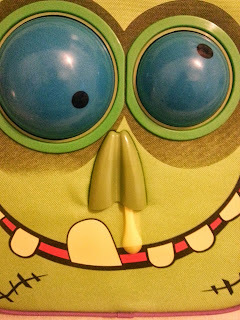 Snot the Zombie blows raspberries and even drips snot from his snotty nose. To me that's pretty gross but to my kids, it's the coolest thing ever! My little man adore this backpack and loves playing with it. It's so much more than just a backpack, it's an interactive buddy. 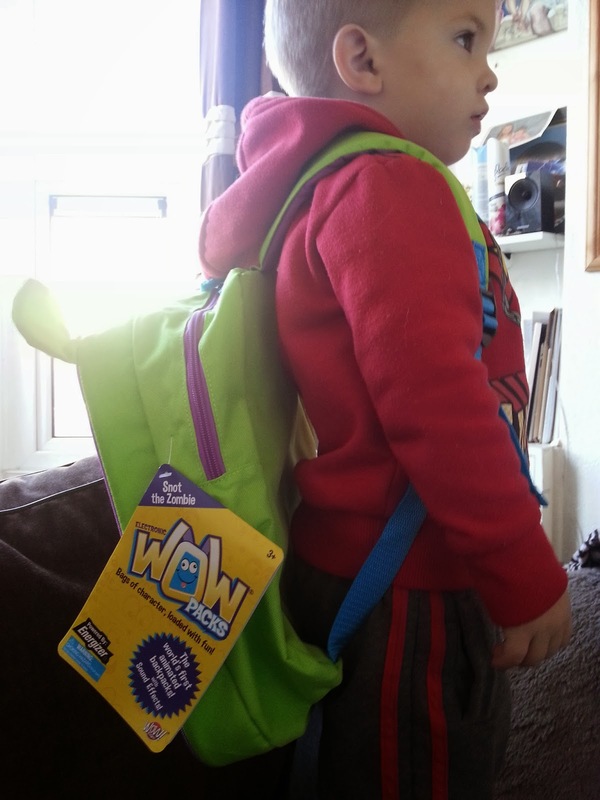 Each Wow Pack comes with a controller built into one of the straps and they have plenty of room inside for your childs essentials like pens, colouring books or toys. The crazy eyes are so funny, they spin around when you press one of the buttons and the snot drips from his nose when you press another. The pictures above demonstrate this. 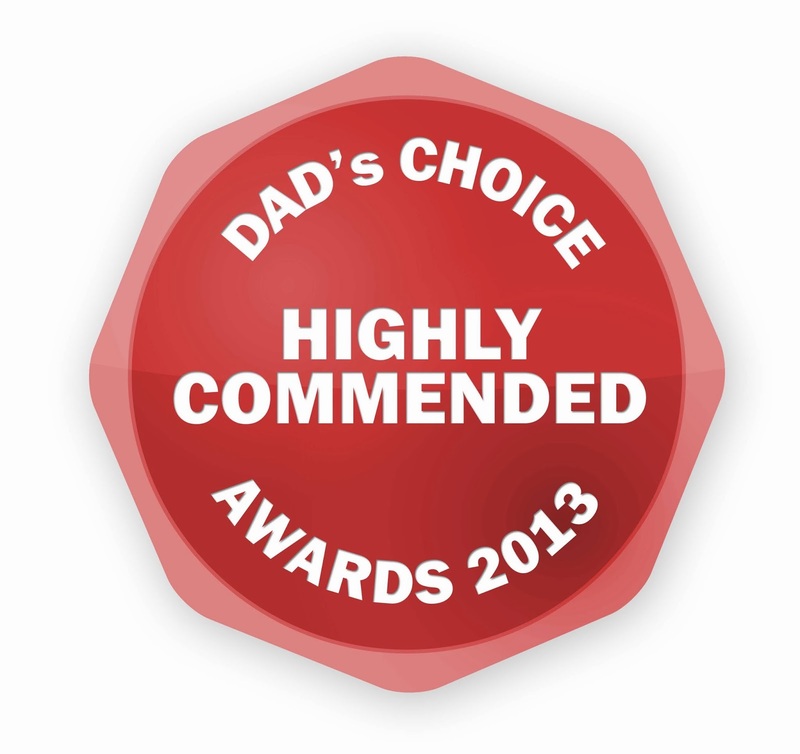 Wow Backpacks received a Dad's Choice Award 2013. 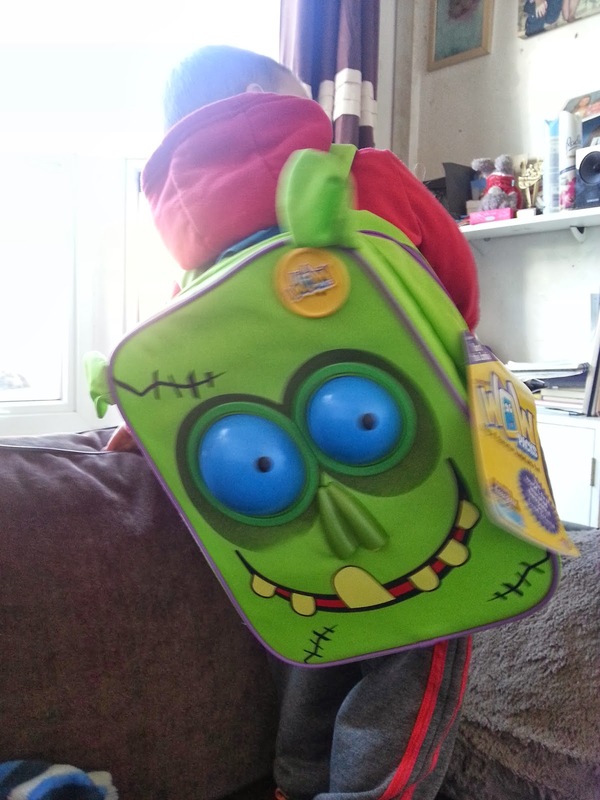 Ryan loves his new Snot The Zombie backpack, he's really enjoying using it. Each Wow Pack costs around £29 which is quite a lot for a backpack but like I said this isn't your ordinary backpack. It makes carrying their books or toys that little bit more fun. I know my little man is now happy to carry his own bag which is a fantastic, that's one less bag for me. 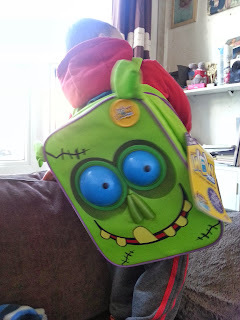 Mummy Of 3 Diaries received a Snot The Zombie backpack for free for the purpose of this review but that doesn't influence our thoughts and opinions on it. 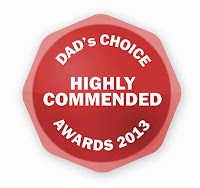 We really enjoyed playing with it and scored it a 3/5, it's a really fun backpack that kids will want to carry.